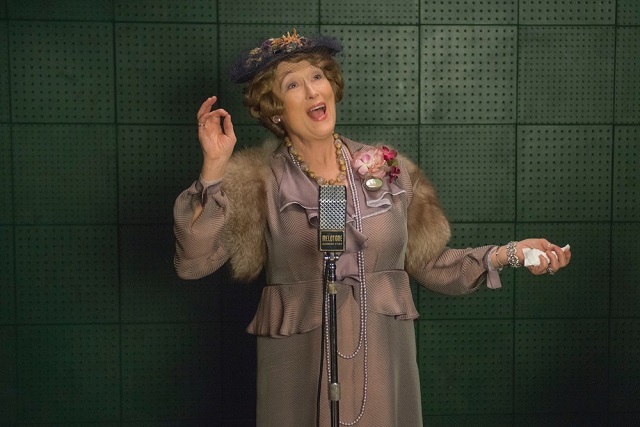 If you are gifted with a voice, would you flaunt it? 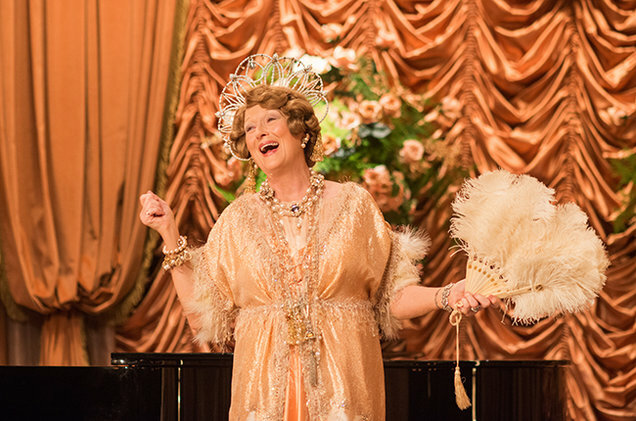 Florence Foster Jenkins would never hesitate to let it all out despite what the public wants from her is not what exactly her born free voice that irritates your ears yet amused you with her own way of entertainment. 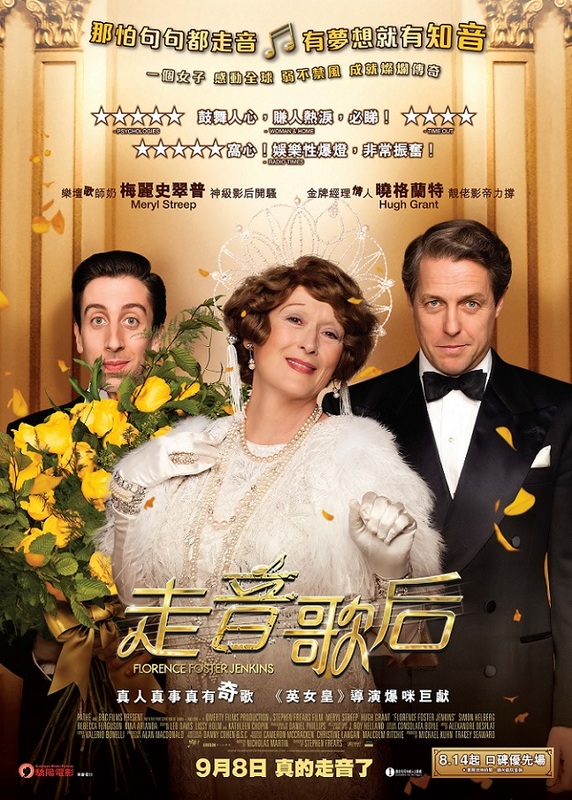 Based on a true story that set Set in 1940s New York, Florence Foster Jenkins is the true story of the legendary New York heiress and socialite who obsessively pursued her dream of becoming a great singer. The voice she heard in her head was beautiful, but to everyone else it was hilariously awful. Her "husband" and manager, St. Clair Bayfield, an aristocratic English actor, was determined to protect his beloved Florence from the truth. But when Florence decided to give a public concert at Carnegie Hall, St. Clair knew he faced his greatest challenge. 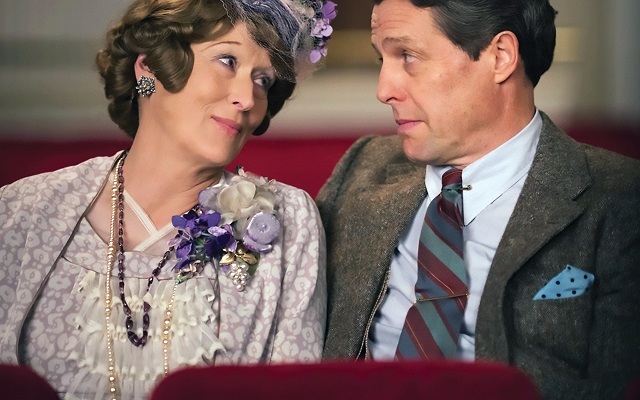 There is almost no character Meryl Streep can't portray and by playing Florence Foster Jenkins is to no exception, against her "husband" St. Clair Bayfield by the ageing Hugh Grant teamed up with Film Director Stephen Frears for the first time on this film with an inspirational, poignant, heart-warming comedy about love, music and the pursuit of dreams. Despite the movie was a little wobbly, but this formidable exemplars having Bayfield who is the true protagonist and his palpable devotion to Jenkins that he actually married her but live with his girlfriend. Complicated? No so, both need each other's support in moral and financially to keep their life going in their very own lifestyle. Frears' usual smart, reserved approach to his material is tasteful and Alexandre Desplat's score also boats a llght jazzy sophistication.